Lead Free - Asian Circuits Inc.
A wide-ranging, lead-free solder solution is available with Asian Circuits. 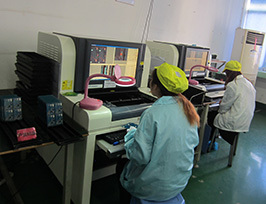 We have a highly trained workforce that is well versed in all aspects of lead-free soldering including, choice of solder alloy, solder paste verification, wave solder flux checking, optimizing of various processes, design rules, parts checking, accuracy, tools inspection, quality checking, and manufacturing prices. Our active involvement with industry standards companies has helped us to comfortably follow the industry-wide transition to lead-free products. Utilizing unique assembly procedures that comply with lead-free and RoHS PCB assembly standards is the core function of our lead-free PCB assembly service. Furthermore, we also coordinate with customers for transition of RoHS compliant electronic PCBs along with lead-free circuit board assembly. 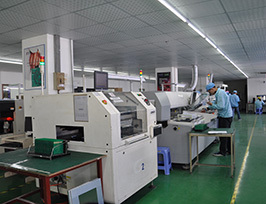 In addition to assembling lead-free PCBs, we also support our clients in determining that the components in the bill of materials meet the lead-free PCB fabrication requirements as per standards. Additionally, we even source lead-free parts for our customers and deliver bills of materials with suitable components as a value-added service for turn-key, lead-free, mid- to high-volume assembly. As per the prescribed RoHS circuit board assembly practices, harmful substances listed in the RoHS directive should not be used in PCBs, parts or solders. 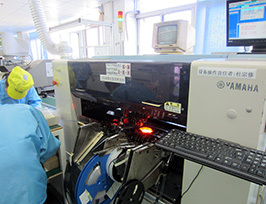 Bare circuit boards used in the distinctive "leaded process" are mostly layered with a lead-tin finish; hence, the finish on the PCB should be significantly modified to comply with lead-free and RoHS guidelines. Usually 30-50 degrees Celsius or higher temperatures are applied for the assembly of mid- and high-volume lead-free processes. The high temperature might require the substrate of the circuit board itself and certain components to be changed to withstand the higher temperatures in the oven. Furthermore, the IC moisture sensitivity level that specifies the duration the board can be exposed to the air should be approximately two classes higher for lead-free boards. The life span of the material used in lead-free boards might be shorter. We require one additional lead-free PCB in addition to a spare set of any temperature-sensitive components; i.e., BGAs, heat slug parts, etc., so as to make sure proper oven reflow temperature profiling is done. The parts can be genuine, non-working, or thermally comparable dummy parts. The majority of circuit board assemblers dealing in large and costly components may deliver non-working "mechanical samples" especially for this reason. For example, distributors such as Practical Components make available thermally corresponding parts in this respect. The visual look will vary considerably from the normal leaded solder joint due to the metallic composition of lead-free solder. Often, the first impression is of a cold joint. Our quality checking experts work in accordance with IPC-610D standards so as to guarantee the solder joints are firm and of superior quality. The primary responsibility of the client is to check that the bill of materials is accurate for lead-free components. If required, we have a specialized consulting team to support the customer for determining if the PCB and parts are as per specifications. In case the parts are shipped in faulty moisture wrapping or we find that there are surplus moisture problems, the client will be informed that the parts must be baked before assembly. Our electronic circuit board assembly commences by making use of a lead-free compatible PCB and putting the stencil on the board. An alloy called SAC305, which is a lead-free suitable solder paste, is used on the board. Surface mount technology, wave soldering and wire (manual) soldering services also make use of SAC305 solder alloy. The PCB is passed through a visual inspection for solder coverage and verification of manufacturing tolerances after complete soldering. The next step is the placing of components using a Pick-and-Place machine. According to the provided bill of materials, the components need to be placed in the correct location. A unique serial number is allocated to every component. On programming the product to execute on the SMT machine, the component is handed over, and the equipment will then select the correct part. Lead-free-process-suitable components should be used on the board. These components should be able to cope with the very high solder and fabrication process temperatures. Asian Circuits is also capable of executing thru-hole and manual/wire soldering of lead-free boards. In the specific places where there are no leaded parts, a lead-free, pass thru, and hand soldering will be carried out. Lead-free solder and a lead-free soldering iron are generally employed by our team. The last step is putting the board in the oven so as to melt the solder paste which results in forming a metallic bond among the parts and the PCB trace. 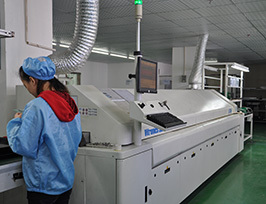 The reflow oven should be used for lead-free and RoHS compliant boards for processing at higher temperatures. The process gap is very small, hence thermal profiling becomes more significant for lead-free circuit boards. It is recommended that the profile includes the following: board thickness, board finish, board size, and number of layers. Our team makes use of a thermal profile so as to monitor the temperature reflow soldering processes and track the thermal profiles necessary for lead-free circuit boards. The visual inspection is done as soon as the soldering is finished so as to ensure minimal manufacturing defects. Our procedures are in compliance with 610D soldering acceptability standards. Asian Circuits has experienced personnel for verifying lead-free solder joints. The finished lead-free circuit boards are packed separately in ESD bags for each and every consignment.